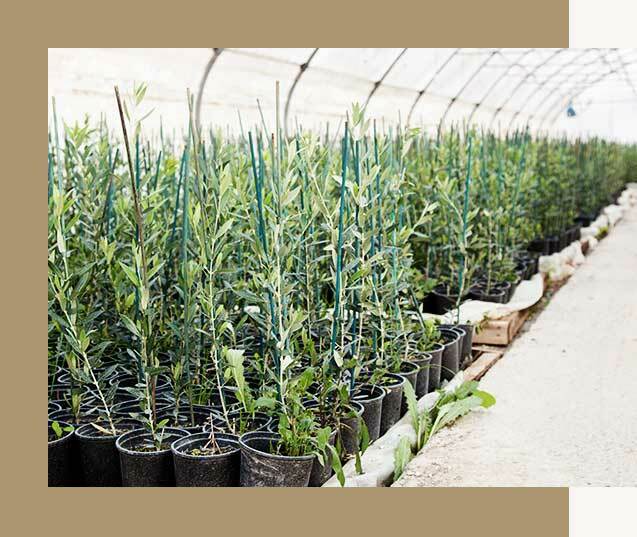 A contemporary nursery with different olive tree cultivars is housed in the area of the oil press facilities. 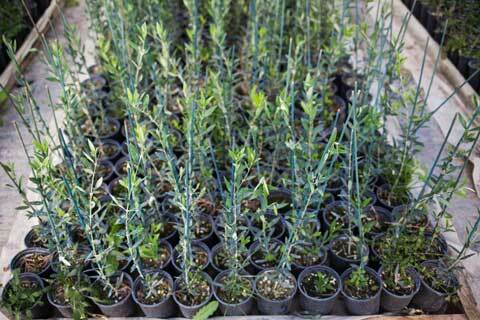 The nursery includes all olive tree varieties that are ideal for the climatic conditions of Northern Greece. There has been an increase in the cultivation of olive trees in our region. New producers can ask our advice on the selection of the most suitable variety, proper tree planting and rational cultivation. The experience we have gained through the process of producing olive oil, as well as our constant search for new applications in the area of olive cultivation allow us to provide new producers with proper guidance so as to avoid expensive mistakes. Arbequine: This is a Spanish variety that is used for the production of oil and has an oil content that can reach up to 20%. In commercial olive groves abroad, it is used in combination with the Koroneiki and Arbosana cultivars to produce olive oil of the finest quality. Arbequina is harvested early and yields very high-quality oil with a fruity and non-bitter flavour. It has great production stability and is resistant to cold. Its qualities include low vitality, an open crown and average to high density. 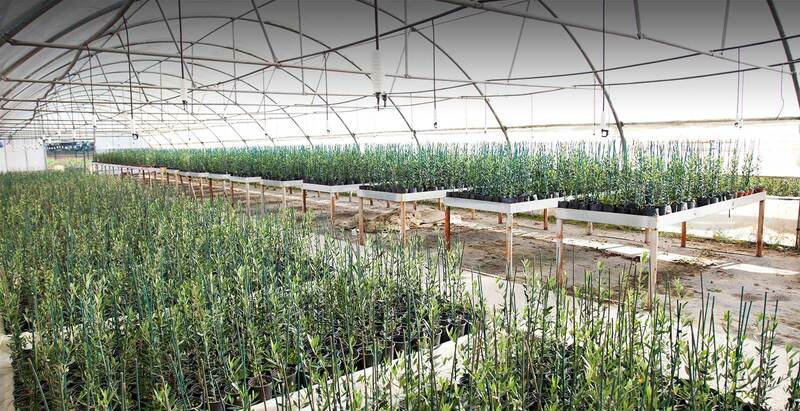 It is a self-fertile variety that enters production early, maintaining constant and high productivity. It has a high oil content of superb quality. The Picual variety is classified as an early variety with high productivity. The fruit can be easily harvested by applying mechanical harvesting. It is resistant to cold and dry weather conditions. It is widely cultivated in Spain and is estimated account for approximately 50% of all olive oil production. The fruit of the Picual variety has a distinct shape with a pointed tip. It has high olive oil stability. The Picual olive tree has a hard trunk and is resistant to most soil types and various climatic conditions. 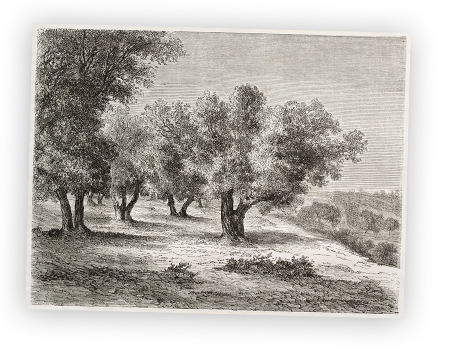 The Picual cultivar is used in both traditional and high-density olive groves (6.5Χ5 or 7Χ3.5). Koroneiki: The fruit of this variety is rather small (average fruit weight: 1.3 g), but highly productive. It is resilient to wind and xerothermic conditions. It is used to produce prime quality olive oil with the highest organoleptic characteristics, which are comparatively superior to other varieties suitable for producing olive oil. It is recommended in areas that do not have a particularly cold climate as it is not resilient to cold. It is a self-fertile variety and the production of oil from its fruit amounts to 27% (3.5:1). It is susceptible to cancer. ): This variety belongs to the category of medium olives, based on the size of its fruit. It has χαμηλόμορφους (low-hanging??) fruit and a dual purpose. It can either be used as a table olive or for the production of olive oil, having an oil content of 20%-25%. The variety ripens in November-December, within which time the fruit must be harvested. It is mainly found across Northern Greece. The Prodromou variety thrives at altitudes of up to 600 metres. It is suitable for oil and produces oil of superb quality. It is a dual-purpose variety and the fruit’s oil yield is high, ranging between 3:1 and 5:1. This olive tree is tough and resistant to diseases. Its great advantage is its resistance to very low temperatures up to -15°C and -17°C. 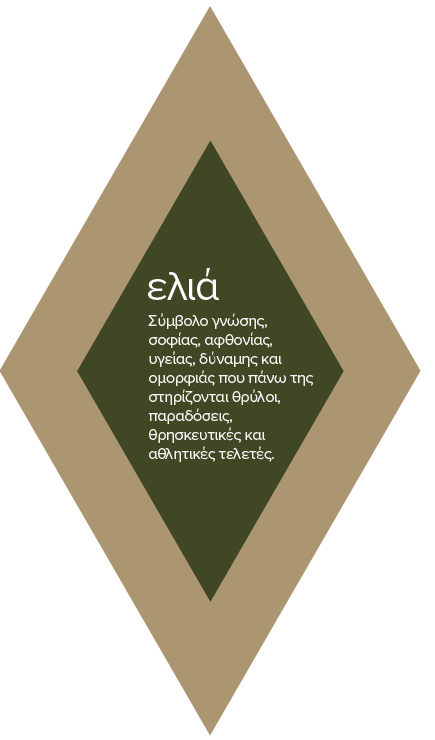 It is a local variety that is very well adapted to the environment of Northern Greece. Due to the size of the fruit, it is classified as a medium olive. Medium olives are used as table olives and for the production of olive oil. The Chalkidiki variety consists of medium-sized trees with long pointed leaves, and harvesting takes place between November and December. Its fruit is oblong.